Uvarovite is a highly desirable, yet widely unknown garnet species. Discovered in the 1830's in Russia, it was named in honor of Count Sergey S. Uvarov, a 19th century Russian statesman, scholar and avid mineral collector. 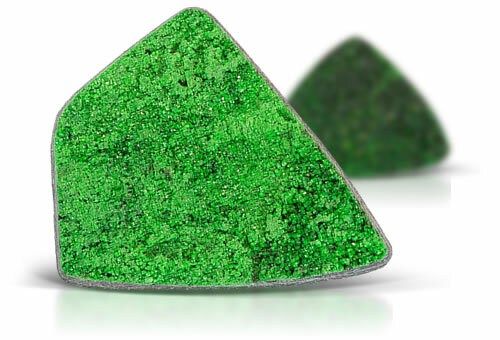 Especially prized by collectors, uvarovite is hard to find anywhere, especially in sizes greater than 0.25 carats. Uvarovite ranges in color from medium to dark green and is best known for its granular, drusy masses which reveal well-formed dodecahedral or trapezohedral crystals under magnification. Uvarovite garnet occurs as irregular aggregates of small tightly packed crystals on a rock matrix and has crystals to tiny to test RI.